The world’s most popular car just got a makeover. The generally unexciting, unassuming Corolla long ago passed such cultural icons as Ford’s Model T and Volkswagen’s Beetle on its way to becoming the best-selling car model ever. More than 45 million have been sold globally since the Corolla was introduced in 1966, helping to usher in a period of rapid growth for the Japanese auto industry. Its popularity helped make Toyota the global force it is today. So, while the unveiling of a new multimillion dollar supercar may seem more exciting, the introduction of a new Corolla is unquestionably more important for both the auto industry and for far more people who actually buy cars. The Toyota Corolla XSE, shown here, is the top-of-the-line version offering the most features and the most performance. 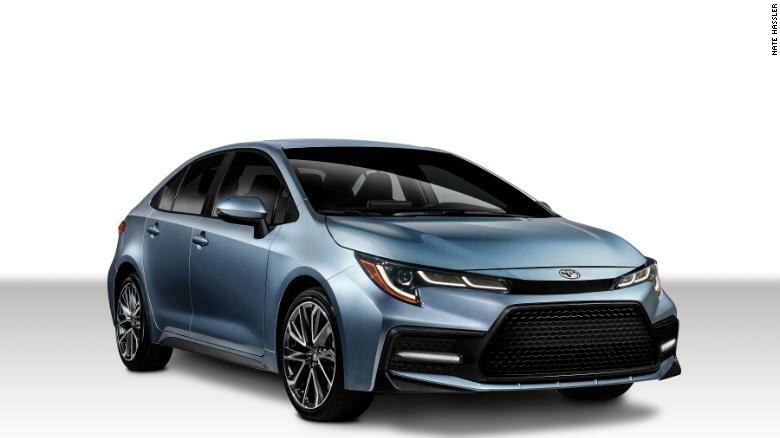 From a business standpoint, the most important thing about this new car is that, once it goes on sale around the globe, the Corolla will be essentially the same car everywhere. In recent years, cars called the Corolla that were sold in different parts of the world have not always been closely related. In the United States alone, Toyota dealers sold the Corolla and the Corolla iM, two completely different small cars with the same name. Now all Corollas, including the hatchback and the sedan, will be based on the same engineering “architecture,” that is also shared with the Prius and the C-HR small crossover. It’s called the TNGA-C, for Toyota New Global Architecture, Compact. It’s part of a bid by Toyota (TM) to save costs by radically simplifying its product lineup around the world. Toyota is promising lots of standard and optional safety technology on the new Corolla sedan. There will still be different versions of the Corolla targeted at different audiences. 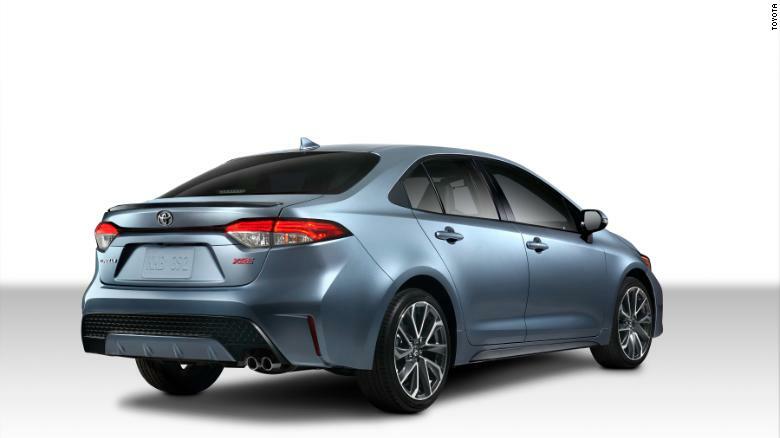 The hatchback and sedan, for a start, will have slightly different personalities. The hatchback is aimed at buyers looking for a bit more excitement and driving enjoyment. That’s reflected in stiffer suspension settings that give it a harsher ride, said Gabe Shenhar, an auto tester for Consumer Reports. Since it’s available now, Consumer Reports has already tested the hatchback. The sedan, meanwhile, will be available in a (relatively speaking) “performance” version, as well as in a luxury version and, for those who want it all, a luxury-performance version. There will also be, of course, the basic car for the budget conscious consumer who just wants a way to get around without burning a lot of gas or a lot of cash. The Corolla will also be available in the United States as a hybrid for the first time. Hybrid Corollas have previously been available in other markets. Compared to today’s Corolla, the design is just a little more crisp and modern. Toyota is promising better performance, driving feel and fuel economy in this new model. While there have been some Corollas in the past that were known for performance, the Corolla sedan currently on the market is definitely not one of them. Its popularity is based on a reputation for practicality and solid dependability, not fun and excitement. 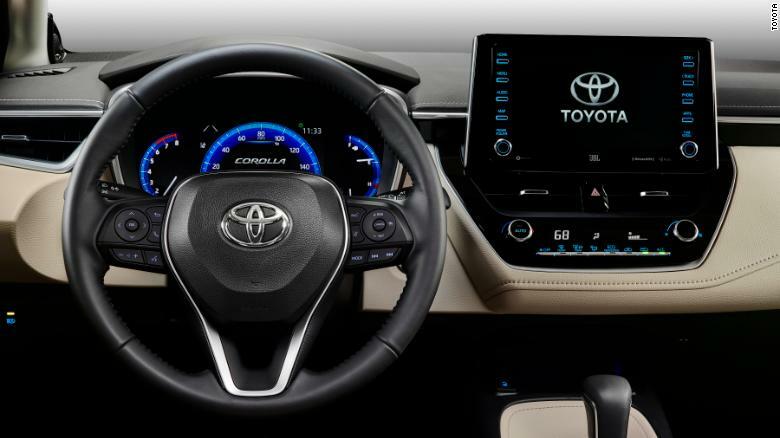 Toyota is also promising lots of standard and optional safety technologies in the new car. The new Corolla will be available in luxury and sporty versions as well as the base model. Car buyers, particularly in the US, have been shifting more toward crossover SUVs of all sizes. That’s prompted some car brands, like Ford, to drop sedans from their lineups — especially the smaller cars with tiny profit margins. But small cars aren’t going away altogether, said Michelle Krebs, an industry analyst with Autotrader.com, and the exit of other automakers from the field just leaves more room for cars like the Corolla and its longtime competitor, the Honda Civic. “There are becoming fewer and fewer new vehicles in that $20,000 or under category,” she said. Pricing for the new Corolla sedan hasn’t been announced yet, but the current version starts at under $19,000. The 2020 Toyota Corolla will go on sale next Spring. Previous articleWhy is Canada running out of marijuana? Next articleAstonishing Video – As-Salam Islamic Pupils on IQRAM RADIO, Watch.